Why do you have to fill my heart with dreams that will never be real? They aren’t going to include weapons civilians could actually use. Good luck getting a ten year old to get his hands on a rocket launcher. What he said, the distinction seems to be "Nothing an ordinary person could get"
Kingdom Hearts Cloud would be freaking amazing. The irony is if the SMRPG cast was owned by Nintendo they would still be collecting dust. I mean just look what it took to get K. Rool back. Is anyone still waiting for Wart to come back? unless they make a terrible mistake with the Link's Awakening remake, he's coming back this year!! I'd be surprised if they he didn't appear in the Link's Awakening remake considering they're keeping the other cameos around. So what I'm hearing is people want Wart as a Zelda rep.
My ginormously unrealistic hope is for Joker to come with music from P1, P2, and SMT. Please let me Smash to Nocturne boss music. Considering the people that made SMRPG still make games for Nintendo I don't think it's farfetched to think they'd have reused characters if they could. Nintendo literally doesn’t allow RPG original characters anymore. I'm sure Koei Tecmo would love to make Hyrule Warriors 2, so we'll likely see her again. I meant for Smash Bros.
Ah. Well, I don't see any complications rising. Koei Tecmo isn't Square Enix. If Sakurai asked for a character to use, particularly a character that both KT and Nintendo had some level of co-ownership over, they wouldn't be against it. They certainly did nothing to block Yuri appearing as an AT with Fatal Frame visual/sound effects. Like the only reason Geno even made some kind of appearance in Smash 4 and Ultimate is because of the cult following he's had. I don't think Lana or the other HW originals have that going for them. Like the only reason Geno even made some kind of appearance in Smash 4 and Ultimate is because of the cult following he's had. I don't think Lana or the other HW warriors have that going for them. Yup, I wasn't surprised that we didn't see any Hyrule Warrior contents in Smash Bros but I'm speaking as what if the group who like to back Lana has been growing over the time in 10-15 years where Lana support would become much similar to Geno support. I have seen some requests from few fans here for Lana but outside of ERA, not much. I'm really curious to see if the fanbase would multiple over the time or not. I think Zelda fans are more focused on one-time characters from mainline games. Oh yeah. Yuri being AT is a thing in Smash Bros. She just feel like a Nintendo character to me for some reason unfortunately. Crazy, I played Link's Awakening for the first time a couple years back and somehow completely missed the fact that Wart was in it. I can imagine all the "But Lana is a super awesome character from a classic game that totally deserves to be in over (insert Main protagonist from current big game/franchise here)!" fueled by a comment by Sakurai saying he was thinking of putting someone from Hyrule Warriors as a possible character. I thought the likes of Lana & Linkle were 100% owned by Koei Tecmo? I thought people looked into it and the HW OCs were co-ownership like the TMS crew are co-owned by Atlus? Nah, at some point, Nintendo seems to have put some kind of brand guidelines that heavily limited the use of Mario characters created by people outside of their core teams. 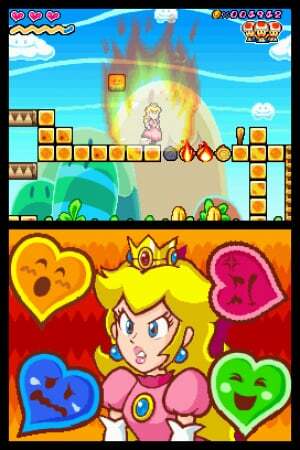 Just look at Paper Mario - for a while Paper Mario characters were even being added to games like 64 DS (Goomboss) and Mario Party (Star Spirits), but nowadays they aren't even used by Paper Mario itself. I mean hey, there was that one interview with a producer at Alphadream who was talking about Geno and Mallow. If anyone was going to use them it'd definitely be them (for obvious reasons that I probably don't need to explain). I mean, we just got two remakes chock-full of original characters, and the latter of them even introduced new characters in the added sub-mode. So this isn't really true at all. I guess the difference there is that Nintendo published Tokyo Mirage Sessions and Mario + Rabbids (in Japan for the latter). Hyrule Warriors meanwhile, was only published by Nintendo in the west, whereas Koei Tecmo had the honor in Japan. Same thing with Fire Emblem Warriors. Those games get away with it because they're remakes though. 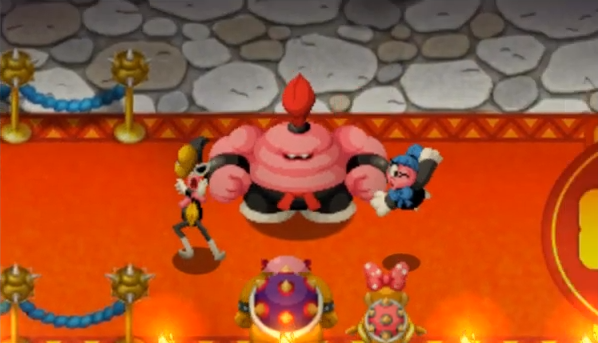 The new mode adds a couple of new characters, but even the recent Paper Mario have had new enemy variations and one or two original characters. It's all still clearly limited compared to before. I will break into NOA to buy at the company store. Look who the first season pass character is and who they're owned by. This goes deeper than any of us realized. Again, TMS is a Nintendo published game. Hyrule Warriors isn't, at least in Japan where it really matters the most. Tanabe: "Aside from wanting us to change the atmosphere a lot, there were two main things that Miyamoto-san said from the start of the project—'It's fine without a story, so do we really need one?' and 'As much as possible, complete it with only characters from the Super Mario world.'"